Up to -15% available on the following properties. 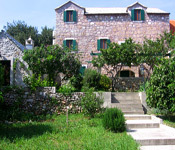 2 bedroom cottage in Brela. -10% in July and August. -10% on stays of one week or more. 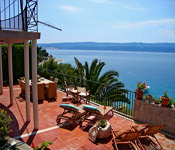 Villa in Bol, Brac Island sleeps 8. Istrian country villa with pool sleeps 10. Up to -15% on all stays. Split Riviera sea side villa sleeps 14. -10% from April –June on stays of one week or more.